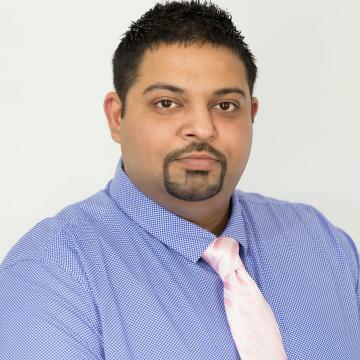 Coming from a business family, Amit Singh started his business career in 2005 after finishing university with a bachelor in commerce followed by a master degree in Business and Accounting. Since then Amit has gained extensive experience in various business sectors. He has a successful record of setting up, managing and running operations in the fields of Training and Assessment, Migration Law, Travel Agency, Conveyancing Services, Supermarkets and Liquor Stores. Amit has a great wealth of knowledge of the buying and selling process of businesses. Having been involved in all aspects of businesses from setting up to successfully running and selling for profit, Amit can guide buyers and sellers with the process ensuring a smooth transaction. Contact Amit Singh if you would like to discuss selling options for your business today. Indian Grocery Store for Sale. South-West Suburbs – Melbourne. GREAT SHOPPING CENTER LOCATION A great well performing Indian Grocery store for sale in the well-established South-West suburbs of Melbourne. Busy shopping centre location with high foot traffic and no immediate competition around. This shop is very well maintained, organised and currently owner operated. Long lease options. Low Rent considering shopping centre location. High foot traffic. Current takings approximately $9,000 p.w. Owned and operated by the same owner for 26 years, it’s now time for them to retire and make way for a new operator. Well trained, long-term and reliable staff in place, this iga supermarket for sale is well-presented and maintained. Located in a major regional town in Northern Victoria, about 30 minutes from Shepparton this store is one of the only two independent supermarkets in this town. This store has had a very secure and extremely profitable business over the years and also house the only Tattslotto outlet in the town making possible higher returns and net profits in one operation. Key Points: Business Snapshot: This Business is for sale @ $900,000 + Stock. * Own Due Diligence required.